The form and function principle in product design is such that the functional aspects of a product are as aesthetically beautiful as the appearance (form) of the product. 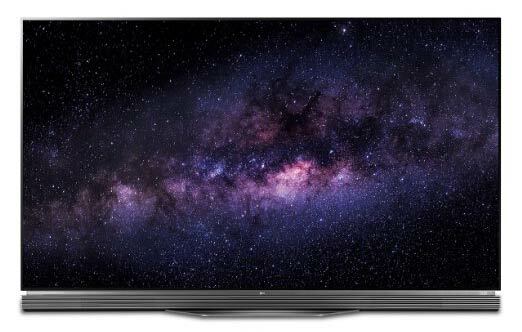 This applies to the Q7F QLED TV in that the functional triluminous color display comes as a result of electric current rather than the backlighting panel found on LED TV. With billions of color pixels getting light individually shining through each pixel, there comes the functional aesthetics of a brilliant color display. 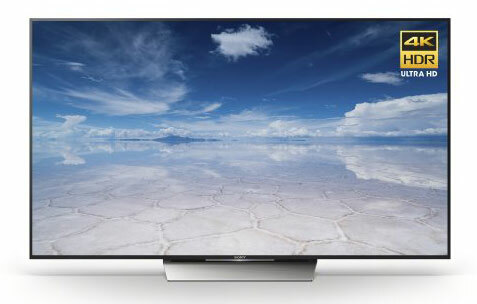 Then, absent of such backlight panel the form function of a futuristic sleek and thin TV design becomes the reality. The Samsung Q7F TV series is best for providing the ultimate in home theater by reason of 120 Hz refresh rate of frames per second, ability to upscale any lower resolution content to the 4K screen resolution, judder free viewing and choice of fifty-five, sixty-five, or huge seventy-five inch screen. Remembering the importance of picture quality: contrast ratio, color uniformity, and refresh rate (frames per second) as well as the aesthetically pleasing thin frame border, the Samsung Q7F TVs provide the utmost in ‘function’ and ‘form’ technological perfection that should sustain itself over the course of years of changing technology. Viewing angle is average. When viewed at angle the brightness of color and black tones do fade. Excellent refresh rate of native 120 Hz. Making this great for video gamers and movie lovers. Good sound quality for such a sleek, thin TV with good volume frequency (soft to loud) as well as harmony of volume. Smart TV using the Tizen operating system makes navigation between the myriad of apps and TV intuitive. The overall design of the Q7F really makes this model special. Starting with the screen itself, a glossy finish that is anti-reflective of light. 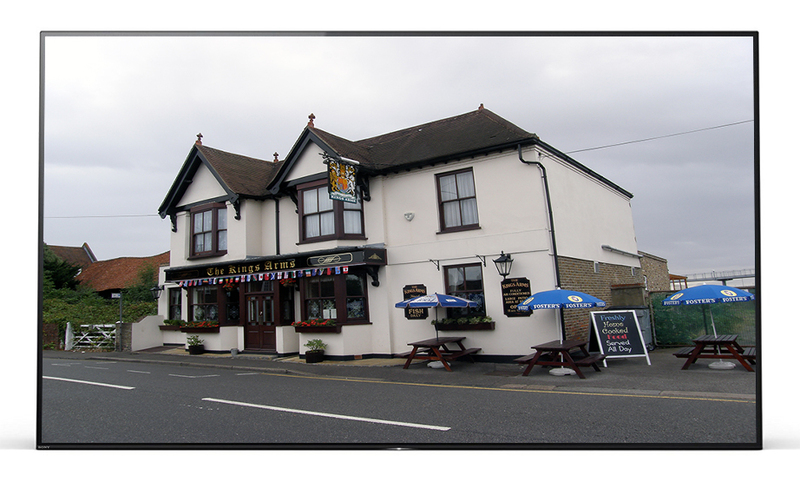 The border is a sleek, thin bezel polished metal, .31 inches, (.8 cm) so there is little to intrude on the picture view. Wall mounting a dream as it goes flush to wall like a picture frame. The one cable running from TV is hidden in the stand on back of set. There are only two cables to be concerned with: the power cable of TV and the One Connect Box cable. No more tangle of cables. The Q7F TV models get kudos for excellent contrast ratio and 120 Hz processor speed of frames per second makes little motion blur. Hold the applause, however, with regards the local dimming feature and viewing angle. Poor local dimming means black tone in dark scenes would not be ‘as deep’ as could be. Color fades if viewing picture from angle. 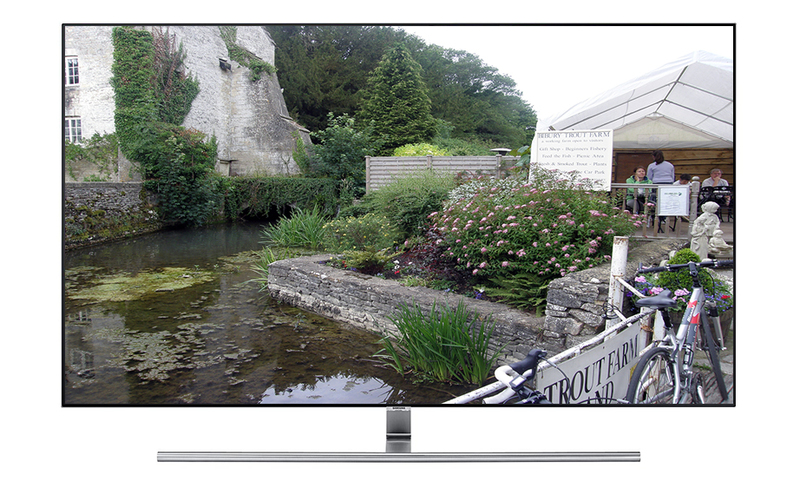 Quantum Dot Technology brings a broad range of color pixels and the HDR technology feature (High Dynamic Range) a wide range of color tone. Overall luminosity (brightness) of color volume is average, as darker tones of color do not display as bright. With such understanding, we recommend placing TV in room with average lighting rather than a darker room setting. Sound quality of the Q7F TV models is good at 71 Hz frequency range for softer, low-end volume. Higher volume is decent enough for average ears. Noteworthy is harmonic balance of tone with volume quite good. A sound bar could add to sound quality but not necessarily a must have. Without question 2017 QLED TVs (Quantum Dot Light Emitting Device) are an amazing configuration by the tech community. That they could bring an electric current to emit the light needed to shine through each and every ‘dot’ (pixel) of color to provide triluminous color display and in such a sleek and thin frame that when wall-mounted it looks more like a picture hanging on wall than a TV is aweing to say the least! 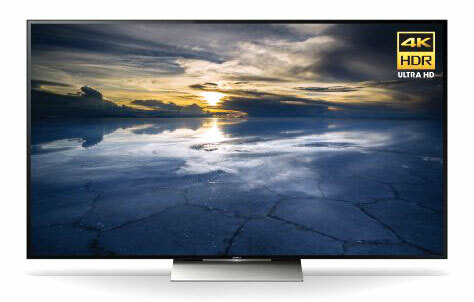 Much of today’s TVs are mind boggling as far as the technology is concerned. I caution not to forget what matters in quality viewing: contrast ratio and color uniformity and an adequate processor speed that refreshes the frames coming into set quickly. The Samsung Q7F TVs in series gets many ‘thumbs up’ in reviews for all that good stuff, so no worries there. It was difficult to find anything bad about the Q7F models. Consumer reviews also found little to complain of. The 2017 Q7F TVs are best described as ‘easy to use’ — from the easy wall mounting or tabletop stand to the One Connect box for all your communication devices to the one button control on TV to turn TV on / off, lower or increase volume, change the channels, change the inputs. One short press to change function and one long press activates function. The metal remote takes two AAA batteries and can be a universal remote to control all communication devices. A mic in remote provides voice interaction. This is definite luxury TV! The Tizen OS is fast in response with nice layout of apps to mitigate navigation to what you want to see. The most popular apps part of the Q7F: Netflix, Hulu, Amazon Video, You Tube with potential to download many others. There are four HDMI ports and 3 USB ports found on the Samsung One Connect box rather than TV to keep the maze of cables to a minimum. Connect to DVD player, Internet, Audio, etc. The Q7F TVs also have an optical sensor that works between the One Connect box and TV. An optical sensor is the newest TV innovation by Samsung that basically uses light to transmit a signal from the One Connect box to TV to form image. There is one button on the TV that performs all necessary TV functions and the Smart remote is a universal remote for all devices and can be voice controlled. The design of the Q7F looks wonderful – wall mounted or on tabletop. The refresh rate / response rate is excellent as is the contrast ratio. Sound is good in comparison to other TVs of such ‘thin’ dimensions. The Tizen operating system and constant content streaming brings much value! The imperfect local dimming feature and faded color at angle view along with picture brightness subdued on darker images brings pause but is a subjective judgment on the part of each consumer.